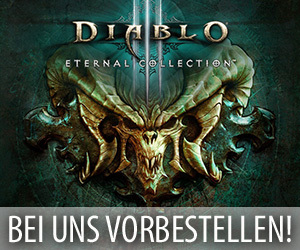 Vor einigen wenigen Stunden haben die für Heroes of the Storm zuständigen Mitarbeiter von Blizzard Entertainment den in den vergangenen Wochen auf dem PTR testbaren neuen Content Patch auf die Liveserver der nordamerikanischen Spielregion dieses Titels aufgespielt, der aufgrund der später stattfindenden Wartungsarbeiten leider erst in der anstehenden Nacht in Europa erscheinen wird. Gleichzeitig damit veröffentlichten die verantwortlichen Entwickler freundlicherweise auch wieder offizielle englische Patchnotes in einem Artikel auf ihrer Communityseite, die noch einmal alle in diesem Update enthaltenen Neuerungen zusammenfassen. 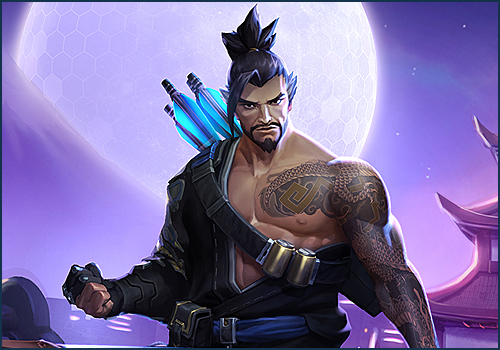 Dieser informativen Übersicht zufolge beinhaltet dieser neue Patch unter anderem eine Vielzahl von Fehlerbehebungen, den neuen Helden „Hanzo“, die Inhalte für die erste gewertete Saison im Jahr 2018, viele Spielbalanceänderungen und das in dieser Woche startende Winterhauchfest. Genauere Informationen zu den Auswirkungen dieses Content Updates findet ihr in den folgenden Patchnotes. Our latest Heroes of the Storm patch is now live in the Nexus with Hanzo, Winter Veil, the 2018 Gameplay Update, and much more! NOTE: Changes highlighted in orange indicate an addition or change between the Live and PTR patch notes. Celebrate Winter Veil this year by with a stocking full of in-game treats that you can earn by playing Heroes of the Storm! The event kicks off Tuesday, December 12, and lasts until the week of January 8, so be sure to complete the quests below before they disappear! Our new ranked season has begun! Find out more about rewards and requirements here. The matchmaking system has been updated to include a performance-based data-driven system, which takes individual player performance into account when determining MMR gains and losses. Under this new system, players will now reach their intended Matchmaking Rating quicker and more accurately. Read our recent blog about Performance-Based Matchmaking to learn more. In-game Camera height has been significantly increased in order to provide more visibility of the battlefield. Outlines will now display on terrain when playing Junkrat or Lúcio. This should allow for a more accurate view of what can be used for Frag Launcher bounces and Wall Rides. Once heir to the Shimada clan’s criminal empire, Hanzo abandoned his birthright after he almost killed his younger brother. He now strives to perfect his skills as a warrior, and sees the Nexus and its endless conflict as the ideal training ground. Target unpathable terrain or a Structure to jump to the other side of it. Activate to charge an arrow that deals 270 damage to the first enemy hit. Storm Bow’s range increases the longer it is Channeled. Reactivate to fire. Fire an arrow that deals 85 to the first enemy Hero hit. Scatter Arrow can collide with terrain and Structures, splitting into 5 arrows that travel extra distance, ricochet up to 4 additional times, and deal 85 damage each to the first enemy hit. Fire an arrow that grants vision in a large area 8 seconds. Enemies inside are revealed for 1 second. If Sonic Arrow lands directly on an enemy, it deals 150 damage to them and follows them as they move. After 1.5 seconds, summon a pair of Spirit Dragons which travel forward, dealing 52 damage every 0.25 seconds to enemy Heroes in its area. Enemies in the center take 150% damage. Fire a missile that travels across the battleground. Explodes upon hitting an enemy Hero, dealing 100 damage to all nearby enemies and Stunning them for 0.5 seconds. After traveling a medium distance, the damage is increased to 200 and the Stun duration to 1.25 seconds. After traveling a long distance, the damage is increased to 350 and the Stun duration to 2 seconds. Doubloon Chests will now consistently spawn 3 minutes after the final Chest of the previous event has been captured. Beacon events after the first will now consistently spawn 2 minutes and 10 seconds after a previous Zerg wave has been defeated. Shrines will now consistently spawn 2 minutes after a Dragon Knight has been killed. The first Tribute indicator will appear on the Minimap 30 seconds after the game begins, and subsequent indicators will appear 15 seconds after the previous Tribute has been captured. The first Shrine indicator will appear on the Minimap 30 seconds after the game begins, and subsequent indicators will appear 30 seconds after a Punisher is defeated. Hover the cursor over a Shrine indicator on the Minimap to display whether it will be a Mortar, Frost, or Arcane Shrine. The first Temple indicators will appear on the Minimap 30 seconds after the game begins, as well as 30 seconds after all Temples in the same event have been depleted. The first Altar indicators will appear on the Minimap 30 seconds after the game begins, as well as 30 seconds after the final Altars in an event has been captured. The first Warhead indicators will appear on the Minimap 30 seconds after the game begins, as well as 30 seconds after the final Warhead in an event has been collected. Regeneration Globes will now become neutral (claimable by both teams) if not claimed within 3 seconds. All attacking structures no longer have ammunition. Walls will now be destroyed if their connected Towers and Gate are also destroyed. Walls can still be attacked normally. After reviewing community feedback, we’ve decided to revert this change. Destroying the Gate and Towers will no longer automatically destroy connected Walls. Standalone Towers (found next to Forts and Keeps) have been removed. The Health, granted Experience, and Damage of Standalone Towers has been redistributed into their surrounding gate Towers, Forts, and Keeps. Forts and Keeps now have True Sight, meaning they will reveal and attack Stealthed Heroes. True Sight is disabled while the Structure is disabled by effects such as the Raven Lord’s Curse or Sylvanas’ Black Arrow Trait. The 5 second delay before Minions spawn after the game begins has been removed. Defending Siege Giant attacks are now telegraphed on the terrain and can be dodged. Attack telegraphing and missile trajectory has been significantly improved. Spell Armor is immediately removed upon leaving the aura area. Zeratul has received updated art to coincide with Talent changes. Minimap art has been updated across all Battlegrounds. Added a new Stealth visual effect. Enemy Stealthed Heroes should now be easier to spot. Creates a dialog allowing players to choose a type of dummy to spawn. Player can then click in the game world to create a dummy of the selected dummy type at mouse cursor position. One player cannot spawn more than 20 dummies. When a player deals damage or heals a target dummy the Target Dummy Panel will pop up displaying the damage or healing dealt. If player deals damage to multiple dummies with an AOE ability, the number will be the combination of damage done to all dummies. If the team hasn’t dealt damage or healing to any of the dummies for 8 seconds, the Target Dummy Panel will disappear for that team. If a player hasn’t dealt damage or healing to any of the dummies for 8 seconds, their damage and DPS will be reset to 0. If the „Share Cheat“ checkbox is unchecked, remove all the dummies created by all players. If the „Share Cheat“ checkbox is checked, remove all the dummies created by that player. Disabling Fog of War for a team will remove Fog of War, revealing the whole map for that team. If the „Share Cheat“ checkbox is unchecked, reset all players‘ Health and Mana to full. If the „Share Cheat“ checkbox is checked, reset the player’s Health and Mana to full. If the „Share Cheat“ checkbox is unchecked, complete all talent quests for all player. If the „Share Cheat“ checkbox is checked, complete all talent quests for that player. If the „Share Cheat“ checkbox is unchecked, instantly respawn all dead Heroes. If the „Share Cheat“ checkbox is checked, instantly respawn the player’s Hero. Issuing a Move command within the Mines while on the Battleground’s upper level, or vice versa, will now cause the Hero to use the Mine Entrance or Exit that is the shortest distance from the issued order. Press ALT + left-click an ally’s Hero portrait to inform teammates when that ally needs assistance. ALT + left-clicking a dead Hero’s portrait will generate a chat message indicating that Hero’s remaining respawn time. ALT + left-clicking an enemy Hero portrait will ping that Hero’s location on the Minimap if they are within allied vision. If that enemy is outside of allied vision, a chat message will inform allies that the Hero is missing. Press ALT + right-click the Team Level UI to indicate when both teams are on even Talent tiers, or when one team has a Talent tier advantage over the other. Damage reduced from 310 to 255. Hitting an enemy Hero increases the damage of Snipe by 5% stacking 5 times. When at max stacks (5) it gains an additional 25% damage. If Snipe fails to hit a target, all stacks are lost. Activate to instantly cloak, leave a Holo Decoy at your feet, and become unrevealable for .5 seconds. Increase your Stealth movement speed by 5% after remaining stealthed for 2 seconds. While Stealthed, gain 2 additional mana regeneration per second. Now refunds the cost of Snipe on a successful Hero hit. ​Now also reduces the cooldown of Precision Strike by 30 seconds. Samuro will now appear in the direction of the player’s Mouse Cursor when Mirror Image is cast. Mirror Image damage is no longer a fraction of Samuro’s Attack Damage. Mirror Image base damage has been greatly reduced to 9. Activate to switch places with the target Mirror Image, removing most negative effects from Samuro and the target Mirror Image. 25-second cooldown. Reduced the time between Samuro issuing a new order after using Wind Walk and the image following it. It should now be harder for the new Image to follow Samuro’s new movements after using Wind Walk. If Valeera is Vanished for 3 seconds, this ability has 5 range and teleports Valeera behind her target. Now triggers when Valeera teleports to her target with Ambush, Cheap Shot, and Garrote. Energy return reduced from 10 to 8 per second. Slow duration reduced from 5 to 4 seconds. Valeera’s poison is no longer removed after the first damaging Ability, but instead is applied by all Valeera’s Abilities for 4 seconds. This duration does not start until Valeera damages her first enemy. Valeera’s Basic Attacks now restore 2 Energy. Ambush reduces the cooldown of Vanish by 4 seconds. Now increases the duration of Cheap Shot’s Blind from 2 to 4 seconds. Now also increases the Armor reduction of Ambush by 10 when the target is isolated. Damage bonus now stacks immediately to 100%, instead of stacking up to 30%. Underlined text indicates a MOVED Talent. Damaging an enemy Hero with Basic Attacks or Abilities increases Zeratul’s damage by 6% for 3 seconds, stacking up to 5 times. Passive: Increase Zeratul’s attack speed by 10%. Artanis’ prices have been reduced to 7,000 Gold and 625 Gems. New Bundles – The following new Bundles and Skin Packs are available for a limited time! Arctic Reign-Deer – This Mount will be awarded to players who complete the Winter Veil 2017 event quest chain. Fixed a number of typo and tooltip errors across several aspects of the game. Kharazim: Kharazim’s arms and upper body now animated correctly during his dizzy animation. Leoric: The Shroud of the Dead King Talent will now correctly play an animation and a sound when activated. Samuro: Monkey King Samuro’s model will no longer exhibit flickering during Hero Select while running Medium or High graphic settings. The Lost Vikings: Fixed an issue causing Baelog to cast superfluous shadows on the terrain. Sky Temple: Fixed an issue that could prevent Temple lasers from appearing correctly on the Minimap. Structures: Auriel’s Blinding Flash and Artanis‘ Suppression Pulse can no longer Blind Structures. Towers of Doom: The Headless Horseman Boss is no longer incorrectly categorized as a Monster. Volskaya Foundry: Fixed an issue in which Heroes on the outer edge of the Hall of Storms would not receive Healing or protection. Alexstrasza: Life-Binder is no longer interrupted when entering or exiting Dragonqueen. Diablo: Fixed an issue that could cause Shadow Charge to deal its collision damage multiple times under certain circumstances. Garrosh: Casting Wrecking Ball on Mercenaries will no longer cause them to leash while in combat. Gul’dan: Movement caused by a conveyor belt will no longer cancel Rain of Destruction channeling. Kel’thuzad: The Power of Icecrown Talent will now correctly grant bonus Spell Power for enemy Heroes Slowed by Chains of Kel’Thuzad with the Chains of Ice Talent. Li-Ming: Zei’s Vengeance and Arcane Orb tooltips have been updated to clarify bonus damage functionality. Damage amounts have not been changed. Lt. Morales: The Second Opinion Talent will now correctly grant cooldown reduction when one of the Heroes struck by Displacement Grenade is piloting a Vehicle, like the Garden Terror. Lunara: Fixed an inconsistency that allowed Lunara to cast Leaping Strike over some, but not all, allied units after learning Boundless Stride. Medivh: Creating a Portal entrance after learning Portal Mastery and then entering the Triglav Protector will no longer prevent him from using the Protector’s abilities. Muradin: Learning Reverberation no longer incorrectly updates the Attack Speed Slow amount in Thunder Clap’s tooltip. Murky: Spawn Egg with the Egg Hunt Talent can now be cast correctly on Volskaya Foundry’s conveyor belts. Sgt. Hammer: The Hyper-Cooling Engines talent will no longer grant cooldown reduction from basic attacks against non-Heroic targets while in Siege Mode. Tychus & Stitches: Tychus can now be affected by Stitches’ Gorge while in Commandeer Odin. Zeratul: Fixed an issue causing the Void Slash talent to display an incorrect value for the damage increase. Death Recap: Fortification Camp Turret attacks now display a Turret icon in the Death Recap screen.